Special Guest Seminar "SDGs and the role of research institutes: A dialogue with Professor Melissa Leach, Director of the Institute of Development Studies at the University of Sussex, UK"
JICA Research Institute (JICA-RI) holds the special seminar titled ‘SDGs and the role of research institutes: A dialogue with Professor Melissa Leach, Director of the Institute of Development Studies, University of Sussex, UK’ jointly organized with Institute of Developing Economies (IDE-JETRO) as follows. The main aim of this seminar is to address the agendas and challenges towards Sustainable Development Goals (SDGs) and to discuss the roles of research institutes in the context of post 2015 Millennium Development Goals (MDGs). 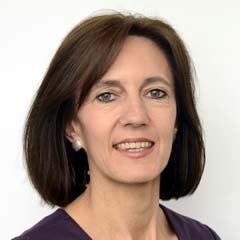 In particular Professor Melissa Leach will give a talk on the topic; what is happening in the development world in the context of SDGs and what IDS aims to achieve in its strategy 2015-2020 represented by the three core pillars of activity; Reducing Inequality, Accelerating Sustainability, and Building more inclusive and secure societies. Professor Leach will also address the expected role of the research institutes in Japan in this context. The speakers from IDE-JETRO and JICA-RI will respond to the talk of Professor Leach and briefly introduce their visions and plans towards SDGs followed by the discussion with participants. *Soon as it is full, it will be closed in advance.